The travel portion of the day went well, thankfully no glitches on the way. Although I was afforded the option of online check-in, I chose to check-in personally. This yielded me a little magic from the cast member who allowed me to switch rooms from the first floor to a much quieter area on the fourth floor. I checked in at Pop Century with plenty of time to make it Hollywood Studios, as planned. 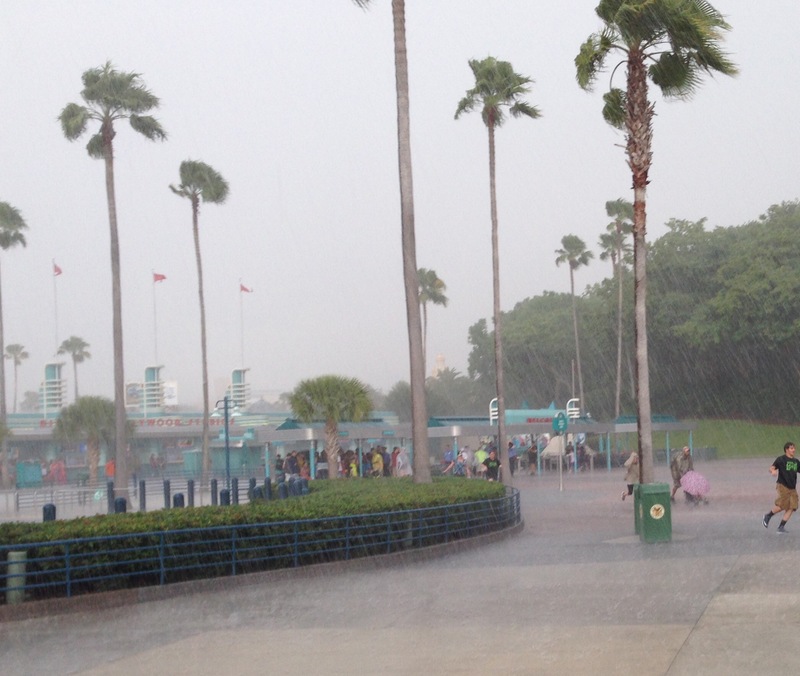 However, a severe thunderstorm hit just as I arrived at the studios, and I forgot to back one of the disposable ponchos in my backpack. I really would not have wanted to walk in the heart of this storm; lightning strikes were happening all around the area. Luckily, there was a covered area to await out the worse of the storm. I eventually made by FastPass reservation at Star Tours, ate at Backlot Express, and enjoyed One Man’s Dream. Unfortunately, due to technical difficulties, the first Fantasmic! show was canceled. At least Disney has compensated me for the wasted FastPass. Today, The Mature Mouse™ heads over to Magic Kingdom to use the morning extra magic hour. Whether I’ll use my extra FP there, or wait until I return to the studios this evening is uncertain, but I’ll let you know. 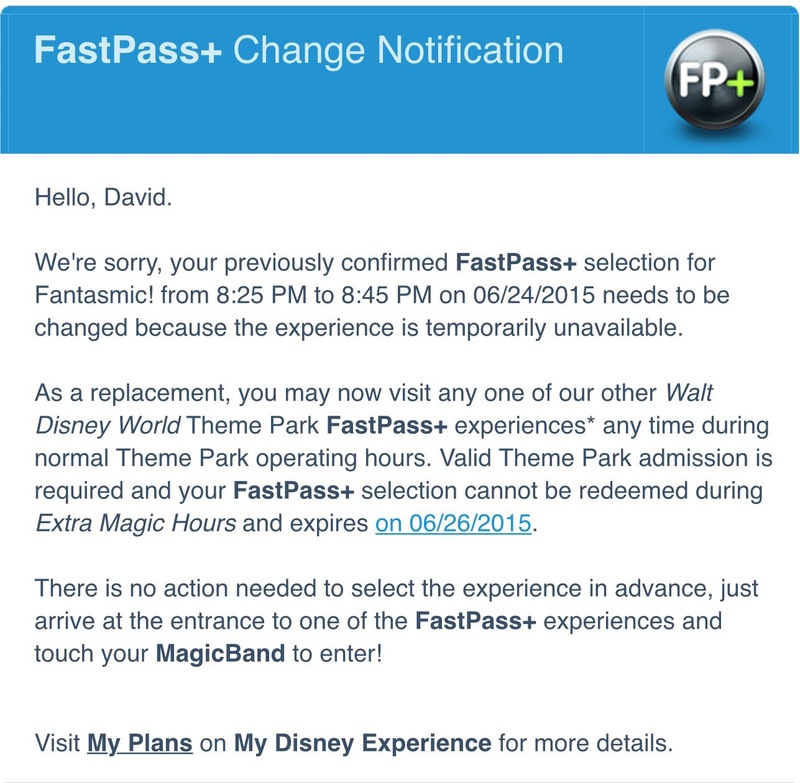 That is really nice that you were able to get a replacement FastPass! I would have been so disappointed if it was just a lost experience!